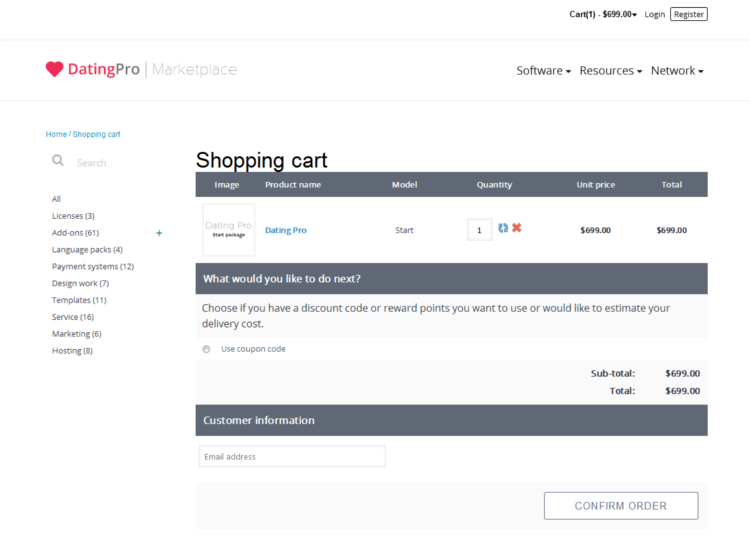 Home › Academy › Help & FAQs › How can I purchase apps, products or services in the Marketplace? 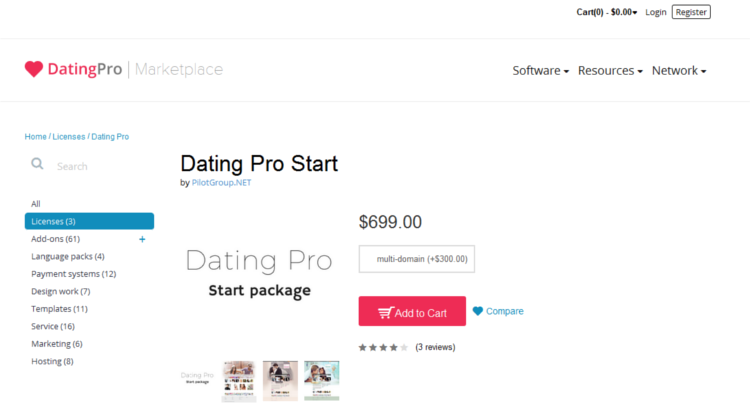 Go to the Dating Pro Marketplace to view the whole range of features and services that our company has to offer: product packages, apps and add-ons, design templates and services, and more. 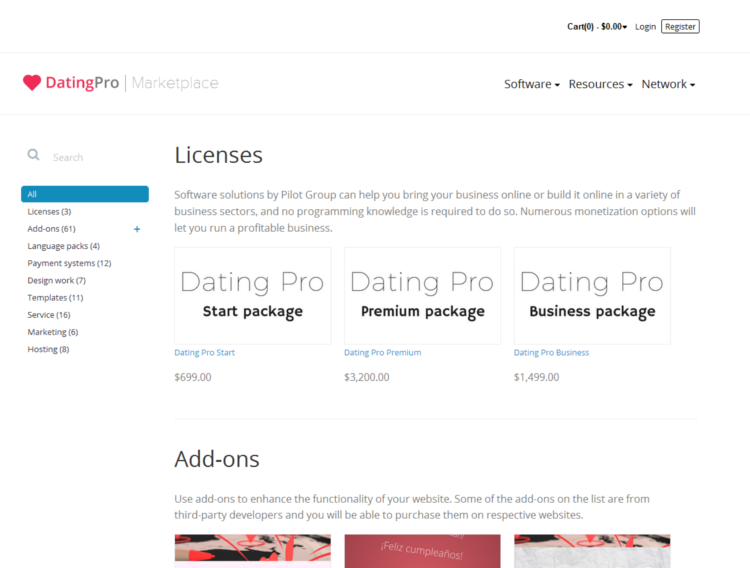 Use the left-hand menu to navigate the Marketplace. 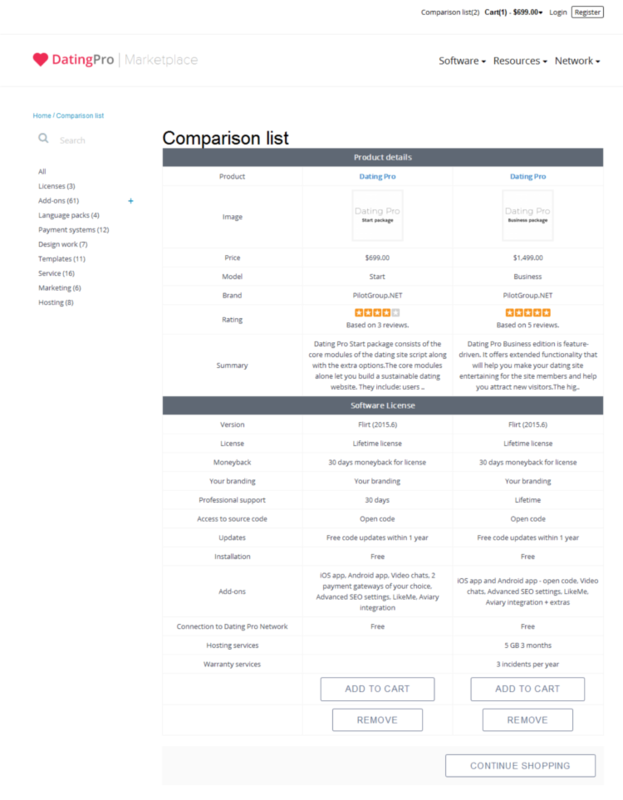 To compare two or more products, click ❤ Compare and proceed to the Comparison list.